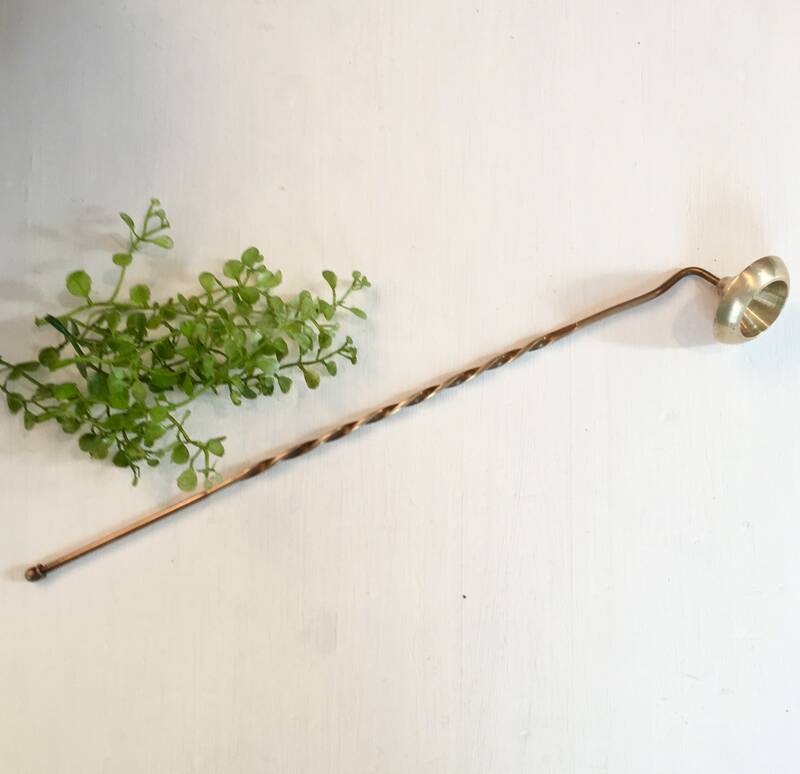 Vintage brass candle snuffer has a unique dome shape and a long handle with a very pretty twist shape. 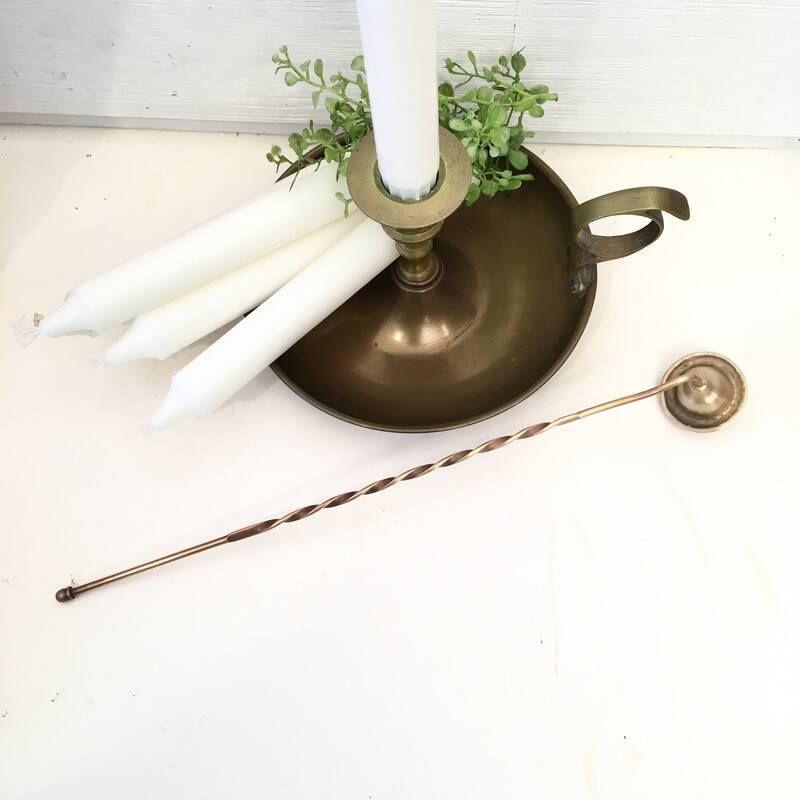 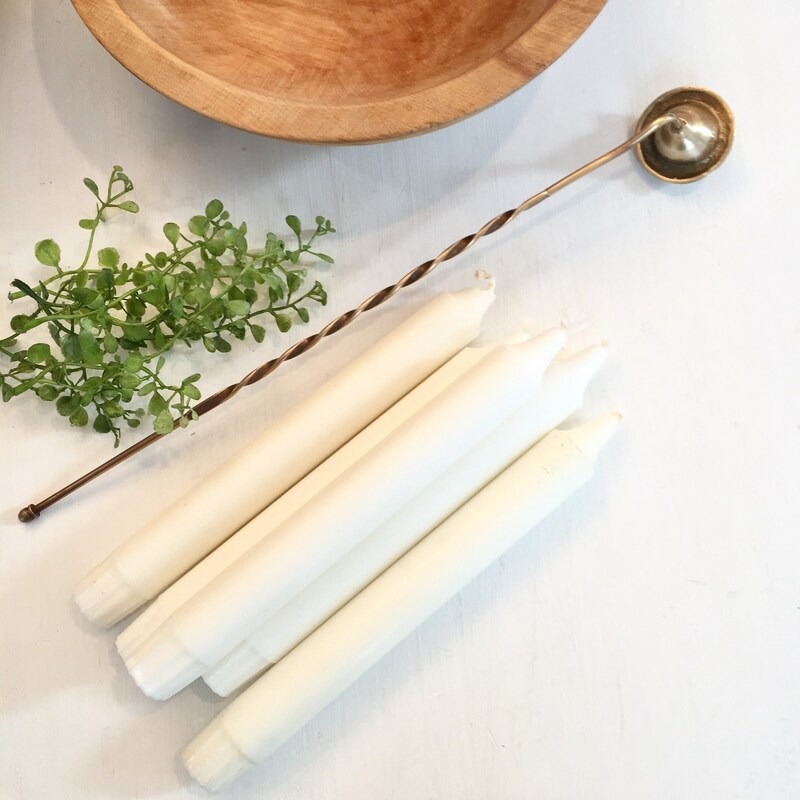 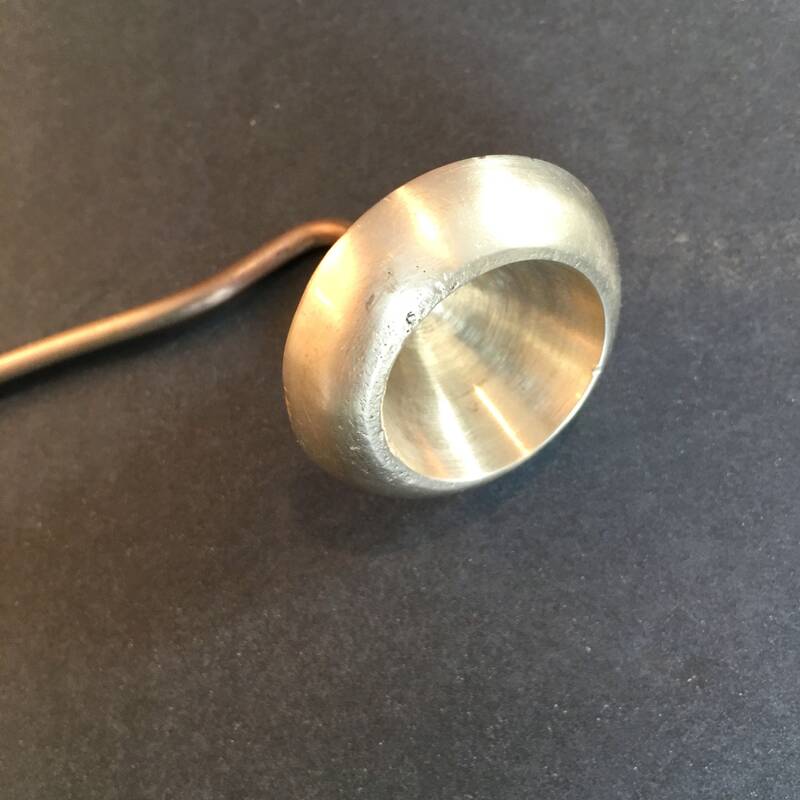 The snuffer itself is sweet and dainty and the nice long handle makes it easy to put out the candles. 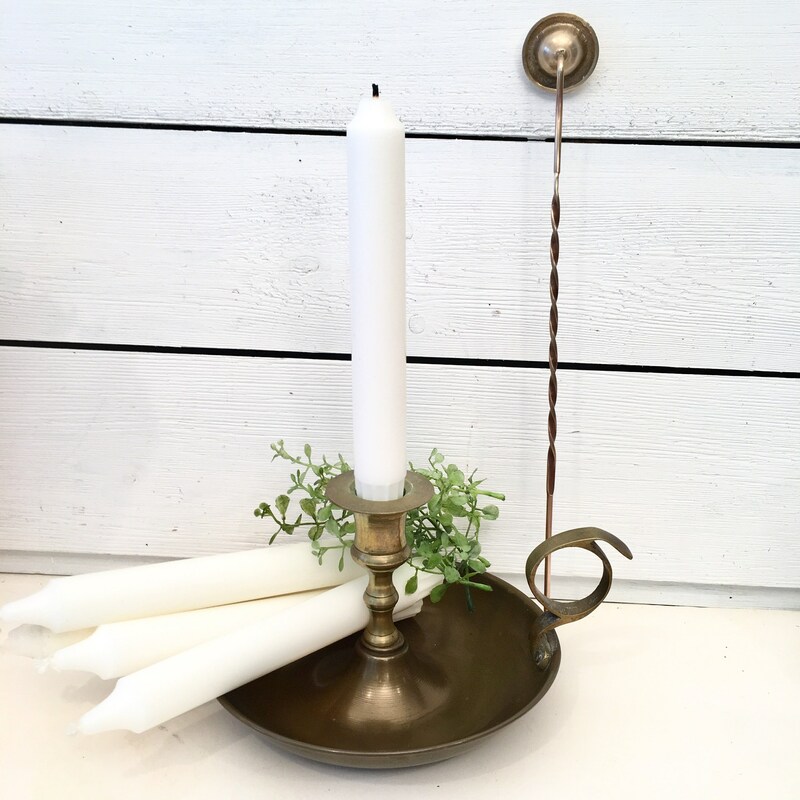 It would be pretty just as a décor piece but is functional too. 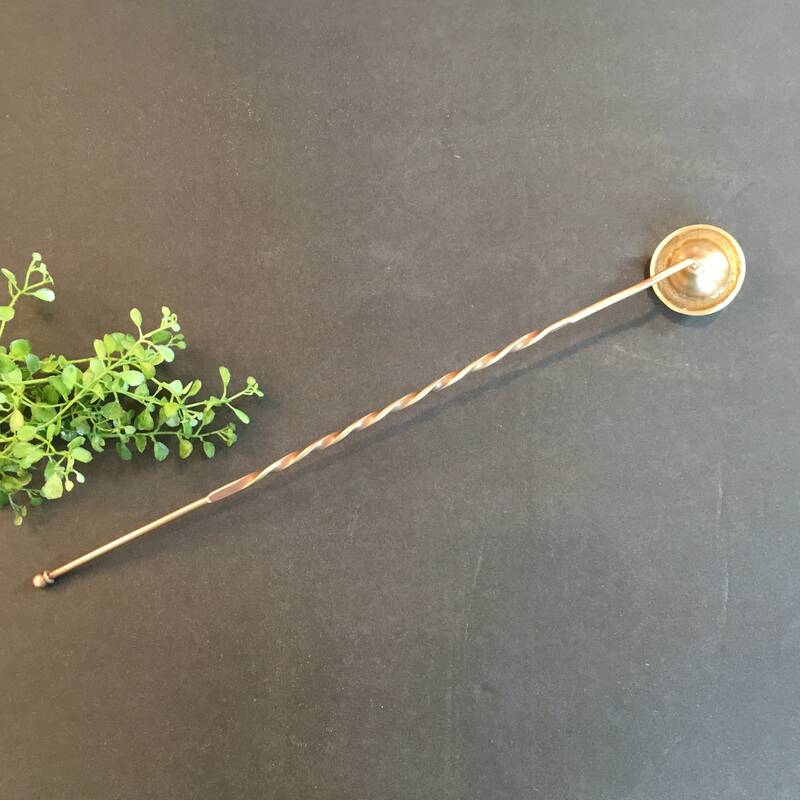 There is some wear as is fitting a vintage item but all in all, it’s in very nice condition. 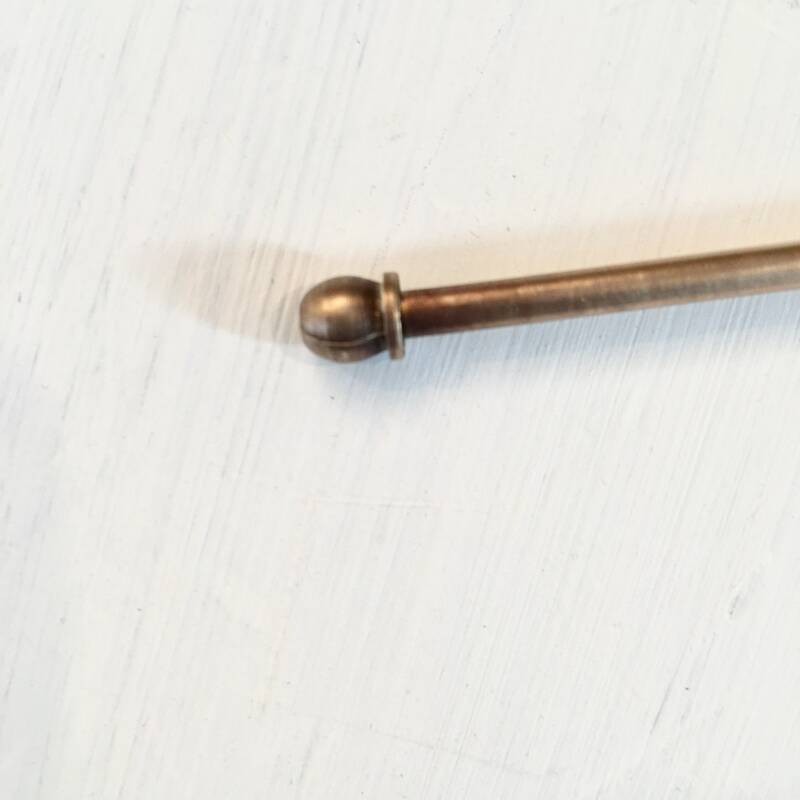 It measures 12 ¼ inches long with the snuffer itself measuring approximately 1 ½ inches across.